Ponytails can get a little bland and boring at times. So here are 5 ways to spice up the way you make your ponytail to slay the day! Add a little volume, and try teasing your hair from the back to produce a fluffed up ponytail. A sleek ponytail like Blake Lively’s is a lot easier than it may seem. Just brush your hair back, and add a bit of gel to smooth out any flyaways. Then, finish off with hairspray! If you have a little more time in the morning, then try a braided ponytail! 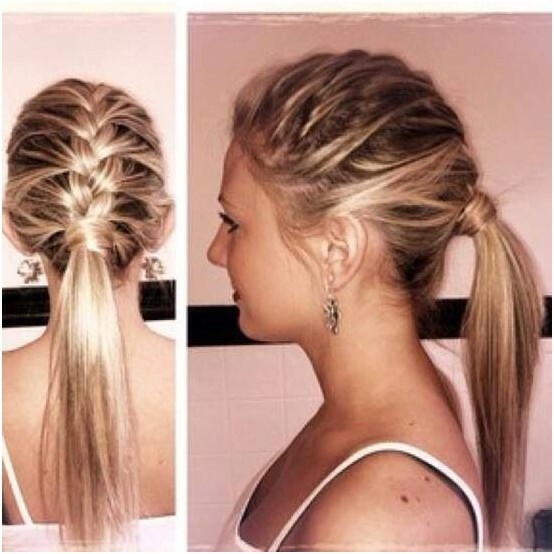 To get one similar to the picture above, just make a french or dutch braid and connect it to your ponytail at the end. For a more romanticized look, try a curled ponytail. Whether it’s for date night or the workplace, this hairstyle will surely get heads to turn. Next Post Next post: The Naked Selfie: Empowering or Provocative?